A limited liability company, or LLC, is a business entity to which property can be gifted and managed. An irrevocable trust is an estate planning tool where property is held on behalf of a future beneficiary. Property placed into an irrevocable trust cannot be taken back and management control is lost. Both an LLC and an irrevocable trust can protect assets, but have different applications. An LLC is a business entity that combines the pass-through taxation of a sole-proprietorship with the personal liability shield of a corporation. For taxation purposes, an LLC is not considered a separate entity that must pay taxes or assume losses since these matters are taken care of at the individual member level. Individual members of an LLC are not personally liable for business conducted through the LLC. Disadvantages of an LLC include the typical automatic dissolution if a member dies or when the entity files for bankruptcy protection. Also, compared to a sole-proprietorship or partnership, creating an LLC is more complicated. An irrevocable living trust is established by a grantor, or trustor, on behalf of a beneficiary. A trustee is named to manage the trust. Property in an irrevocable trust is protected from future creditors of the grantor and the beneficiary. Additionally, after five years, when determining Medicaid eligibility, property held in a trust is not considered the asset of the grantor. The disadvantages of an irrevocable trust are that property placed in trust cannot be taken back and you lose management control over the property. An irrevocable trust does not protect against personal liability as does an LLC. Creation of an LLC is governed by state law. This process normally includes the filing of articles of organization, which list the members of the LLC along with its legal name and address. Payment of a fee is also required. When setting up an irrevocable trust, property and assets are retitled and redeeded in the name of the trust. Once property is placed into an irrevocable trust, the trustee has control over its management. 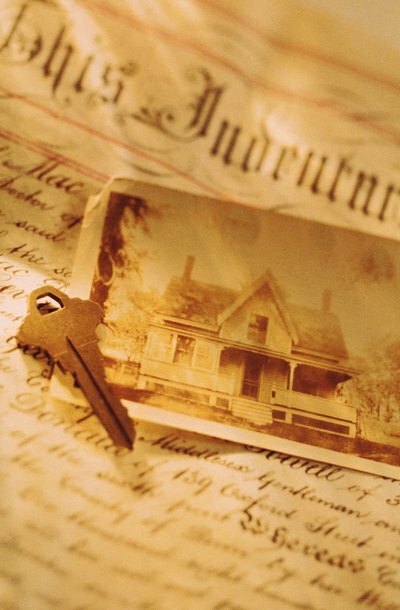 An irrevocable trust avoids estate tax and any capital gains are erased when trust property is transferred at death. Individuals can form an LLC and gift property to it. Thus, the creator of the LLC retains complete control over property gifted to an LLC. Thus, an irrevocable trust is favored for estate planning purposes and an LLC for property management during your lifetime. InvestorGuide.com: What is a Limited Liability Company (LLC)? Can a Living Trust Own a Business? For small business owners, estate planning is crucial to ensuring that operations continue after their death. Although the law varies slightly from state to state, a living trust is generally one form of estate planning which can aid small business owners in this process. An online legal document service can assist you in determining if a living trust is right for you and establishing such a trust to protect your business and loved ones.